Telenor announced in April 2007 that it has signed a contract with Thales Alenia Space for the construction and delivery of a new geosynchronous (GEO) communications satellite. The new satellite, to be called Thor 6, will provide high power direct-to-home (DTH) television services from the 1° West orbital position. Thor 6 will be based on Thales Alenia Space Spacebus-4000B2 platform and fitted with 36 active Ku-band transponders. 16 transponders will point to the Nordic countries, and 20 transponders will be positioned to serve the growing broadcasting demands within Central and Eastern Europe. Thor 6 is the final satellite in Telenor Satellite Broadcasting's replacement programme for Thor 2 and Thor 3. Thor 6 will replace Thor 3, which is set to retire in 2010. The order calls for a 26 month in-orbit delivery schedule, and is expected to start services in summer 2009 with an operational lifetime of 15 years. In September 2007, Intelsat contracted with Telenor to procure 10 Ku-band transponders on the Thor 6 satellite, which are operated at 0.8º West, providing capacity for Intelsat’s 1º West customers. 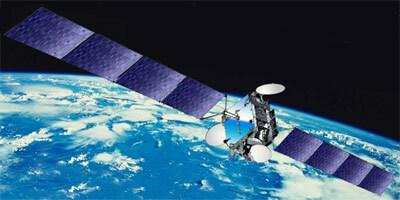 This capacity is refered by the name Intelsat 1W.